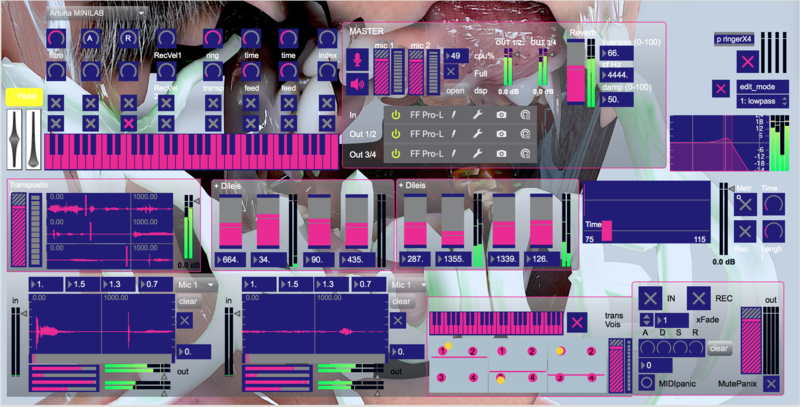 Created with a software programmed in Max/MSP to process and spatialize voice sounds in real time. Every sound material its created through expanded vocal techniques (Belcanto, Beat-Box, Contemporary music techniques, popular music and grindcore) as the only sound source. I’ve programmed this software during the summer of 2015 and it evolved through several performances in Argentina, Chile, Brasil, Bolivia, Paraguay & Germany. In spring 2017 I started recording some improvisations directly from the Max output. Some of those recorded performances with minimal post-production (general compression) are the tracks that integrate “devoiced”. TRR 05 it’s an archived ecosystem of my experimentation with expanded voice techniques & live electronics. A selvatic tecno universe, a tide of chances.